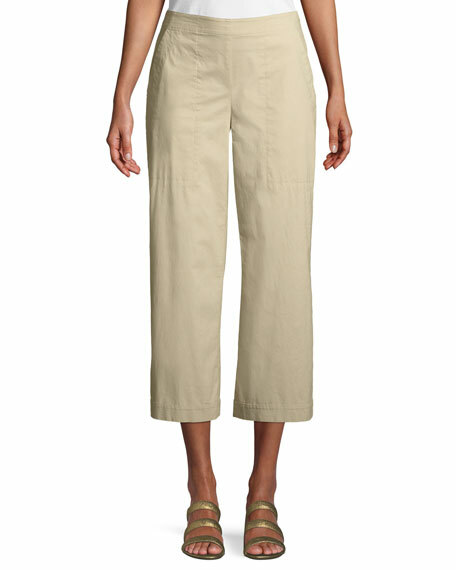 Eileen Fisher trousers in stretch poplin. Front slash pockets; lean back. 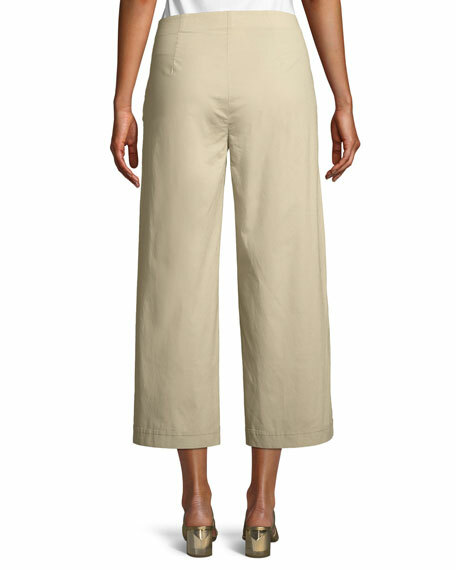 Wide legs; cropped above ankle. 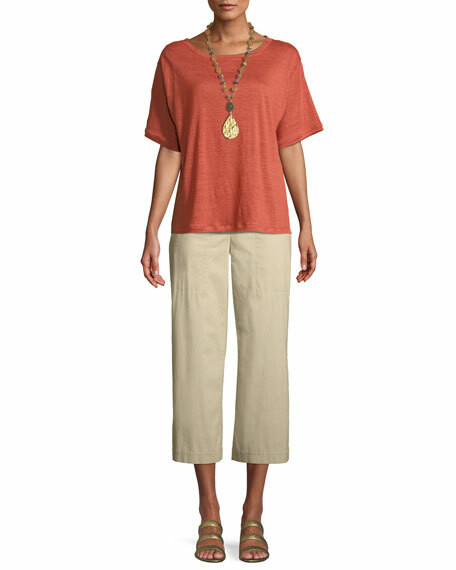 For in-store inquiries, use sku #2634703.